Come join us to celebrate Canada Day and the Fourth of July! We’ll meet at 7 am Sunday at the CB2 in Georgetown, take a picture, run a bit, and then drink coffee at Dean and Deluca. 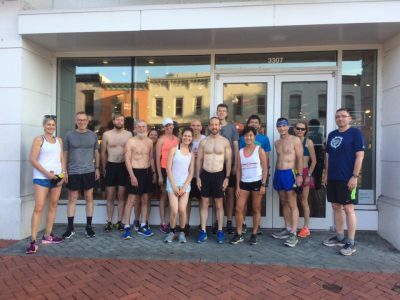 For a change (change not guaranteed), let’s meet on Sunday at 7:00 am in front of the CB2 in Georgetown for our weekly social run. Then, let’s have some bad coffee at Dean & Deluca.